Front view of Morrison Hall with a group of men standing outside on the sidewalk. 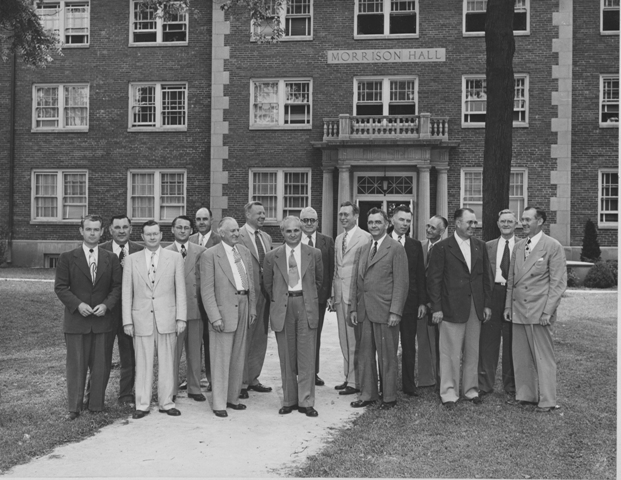 John A. Morrison stands in front, while future President Robert Reardon is on the far left. “Morrison Hall - President Morrison & company,” Omeka @ Anderson University, accessed April 24, 2019, http://omeka.anderson.edu/items/show/24.